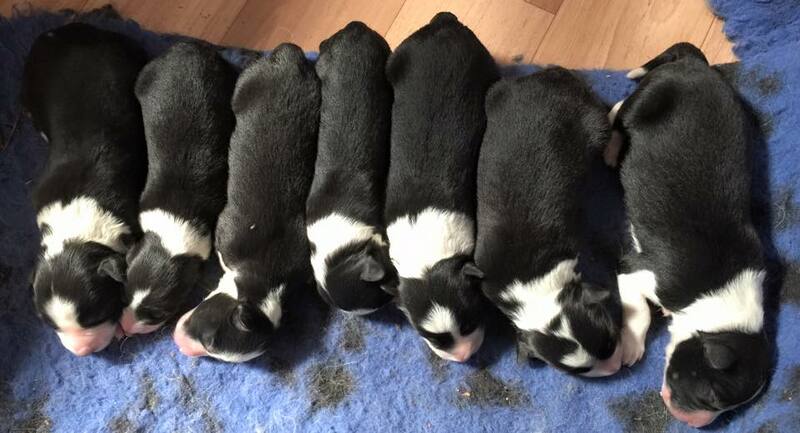 Planning black & white puppies June/July. Hoping for a black & white litter with possible chocolate puppies mid year. At this stage I will not be sending puppies via transport. Please look on the dogzonline or DogsSA websites for other breeders details. Please visit and like my Wilderblu Facebook Page for regular news, photos and updates. ​Puppies are all registered with DogsSA 'limited registar' unless otherwise organised with me (This means no showing or breeding, but fantastic for obedience, agility, work and most of all family pets). Puppies are ready to go at 8 weeks old. They come vaccinated, wormed, microchipped and parents are DNA tested for CEA, CL, TNS, MDR1, DM and other issues plus hip and elbow scored. All results are openly displayed on each adults page on this website and paperwork will be provided with your new puppy. Pups are well socialised in a family/farm environment with small children and other animals. A happy, healthy pup with a sound temperament suitable for a loyal, gentle, intelligent pet is worth waiting for. 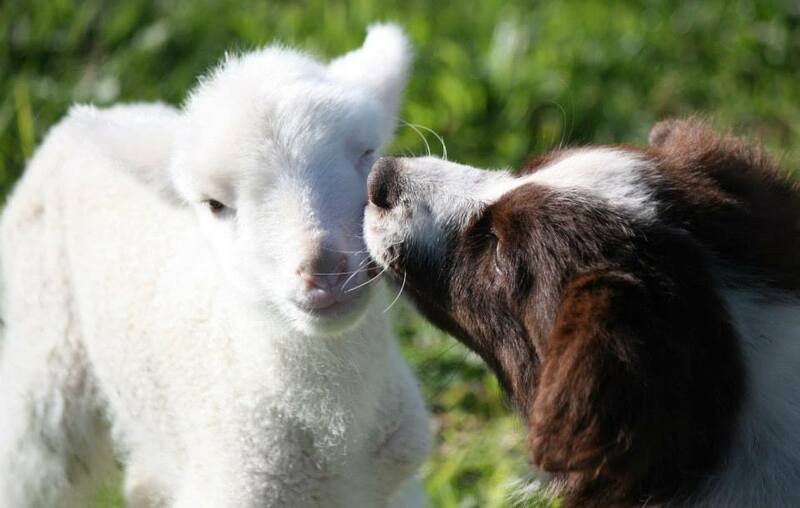 Wallace (Zena X Bear pup) with an orphan lamb (Dougal). This photo has done the rounds on the internet but it is a Wilderblu photo. 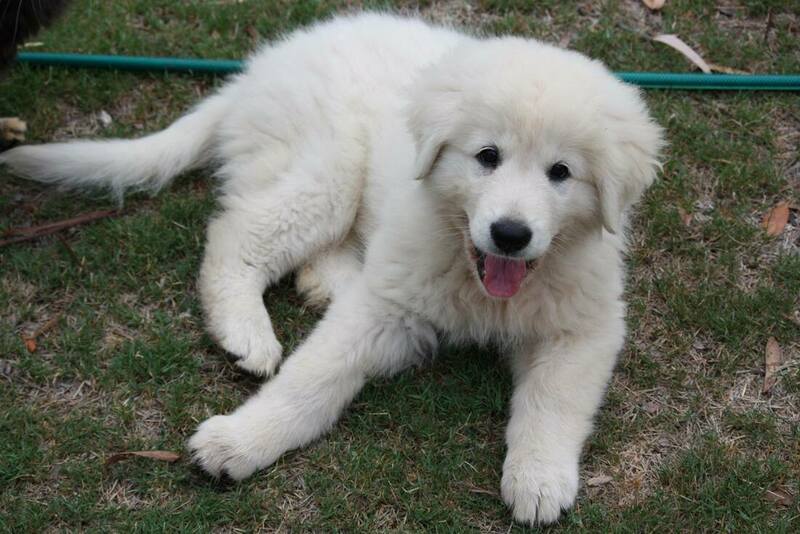 Not a Border Collie (although she thinks she is) Miss Mallee the Maremma! Click her image to find out more about Mallee.